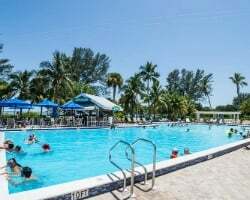 One of Florida's most beautiful and alluring destinations, Sanibel Island remains a veritable paradise on the shores of the Gulf of Mexico, and the Casa Ybel Resort is one of the island's best places to stay. Find timeshare resales and rentals priced up to 70% below retail today on SellMyTimeshareNow.com. What’s My Casa Ybel Timeshare Worth? Located on 23 acres of beachfront land on Sanibel Island, the Casa Ybel Resort specializes in immersing guests in the island lifestyle. Its seaside location allows guests to explore the warm waters of the Gulf and the beautiful scenery of the island equally. Whether you're looking to have dinner on the shore beneath swaying palm trees, or want to try your luck fishing for grouper or snapper offshore, you can do it all with ease from Casa Ybel. Once named one of the "Best Places to Stay in the World" by Condé Nast Traveler, the Casa Ybel Sanibel Island resort is comprised of 114 luxurious suites that dot the coast. Equipped with modern furnishings and enough in-unit amenities to make your stay comfortable, the two-bedroom units are perfect for families and other small groups. Regardless of who you're traveling with, the suites at Casa Ybel promise a vacation full of convenience and ultimate relaxation. If you're ready to find your dream Sanibel accommodations that you can return to year after year, you've come to the right place. Timeshare resales and rentals at the Casa Ybel Resort are available today and won't make you break the bank. Fill out the form on this page or call a representative directly at 1-877-815-4227. Purchasing a timeshare resale at the Casa Ybel Resort can give you the same great ownership benefits, but for thousands less. 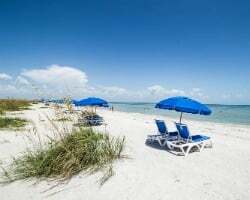 For-sale-by-owner advertisements on the secondary market are often priced up to 70% lower than retail costs, giving frequent Sanibel Island vacationers like you the deal of a lifetime. 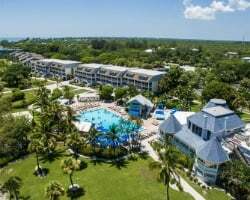 You'll be able to visit Sanibel Island each and every year, and could also enjoy other benefits within the Hilton Grand Vacations Club. Timeshare resales at the Casa Ybel are typically available in deeded and floating weeks, giving you a few options to choose from when making a purchase. Additionally, Casa Ybel timeshares fall within Hilton's Silver, Gold, and Platinum seasons, which will present you with different price points and allow you to find a resale unit that falls within your budget. A Casa Ybel resale can also earn you HHonors points, currency in Hilton's rewards program. Being a Hilton Grand Vacations Club affiliated resort, Casa Ybel timeshare resales come with very few restrictions against buyers. While new resale owners can't enter the Hilton Grand Vacations Club at the Elite level, you can still use your deeded week to make reservations at Casa Ybel, or convert your ownership to HGVC points. Using points can enable you to make easier reservations at Casa Ybel, or other Hilton-affiliated resorts around the world. Like all Hilton Grand Vacations Club resorts, Casa Ybel is affiliated with RCI, the world's largest timeshare exchange company. With a separate membership, you can deposit your week or points at the Casa Ybel to trade for stays at other RCI resorts all around the world. Casa Ybel has also earned the Hospitality Rating from RCI, meaning it provides above average amenities and maintains positive reviews from former guests. This means that owners seeking to exchange a Casa Ybel timeshare will likely get higher trading power than they would with other resorts, opening up more opportunities. Casa Ybel owners can also separately purchase a membership with Interval International, another exchange company with resorts all over the globe. Interval International offers three week-based II memberships and one points-based membership, Club Interval Gold. This luxury resort comes full of exclusive services and amenities to make your stay enjoyable and comfortable. Casa Ybel's heated beachfront swimming pool and six tennis courts will ensure your recreation needs are met, while bicycle rentals and nearby trails will help you explore the island. Walk the beach outside the resort to try your luck at finding the ultra rare Junonia shell, infamous for turning up on Sanibel's shores. Return to your accommodations at Casa Ybel to enjoy in-suite spa services or exceptional dining at Thistle Lodge Restaurant. The immediate area around the resort presents a subtropical paradise that's yours to discover. Head to the J.N. 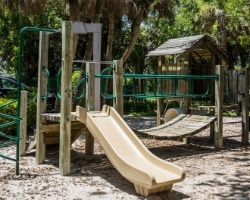 Darling National Wildlife Refuge to immerse yourself in the natural environment of Sanibel, and to truly enjoy the tranquility the island provides. Visit the Sanibel Island Farmer's Market to stock up on delicious fruit, vegetables, and cheese for the duration of your trip, or stop in at the Botanical Gardens at Sanibel Moorings to glimpse rare and unusual tropical plants. Any Sanibel Trip is not complete without a visit to the Sanibel Island Lighthouse, which is just a 13 minute drive from Casa Ybel. Already Own at Casa Ybel Resort?